We're a professional manufactuer in brass connector in competitive prices and top quality, which is mainly made from brass and copper tube in high quality. It's welcome for any enquiry from home and abroad customers. 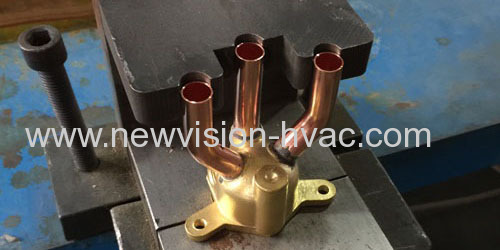 This is a connector between the outlet pipes of contriller and inlet pipes of the evaporator to averagely distribute the ixture of gas and liquid from the controller to each evaporator.That will balance the total pressure of every channel (evaporator)to secure and average distribution of the mixture. 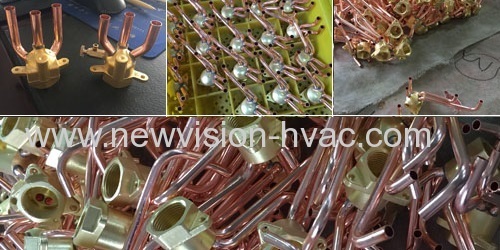 We adopts advanted technology to have manufacted 3-11 holes ditributor with average mixture distribution and loe niose. OEM & drawing request available for us. 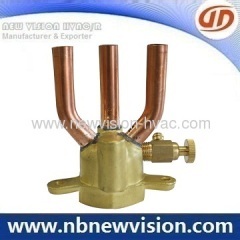 In case of more details about air conditioner brass distributors, welcome let us know any time.